Durateq Modules, designed for a wide range of industry uses and solutions. 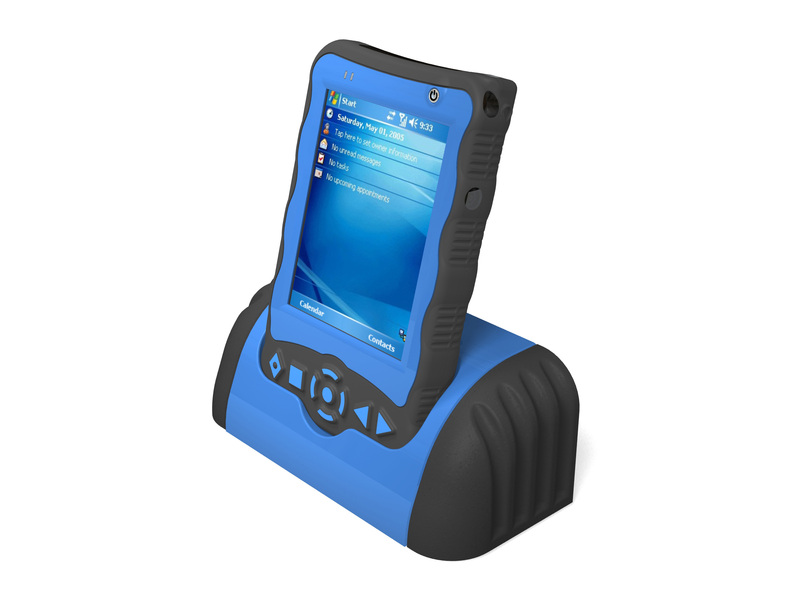 The single-unit charging dock charges a single Durateq and provides a USB interface to your PC for accessing content. 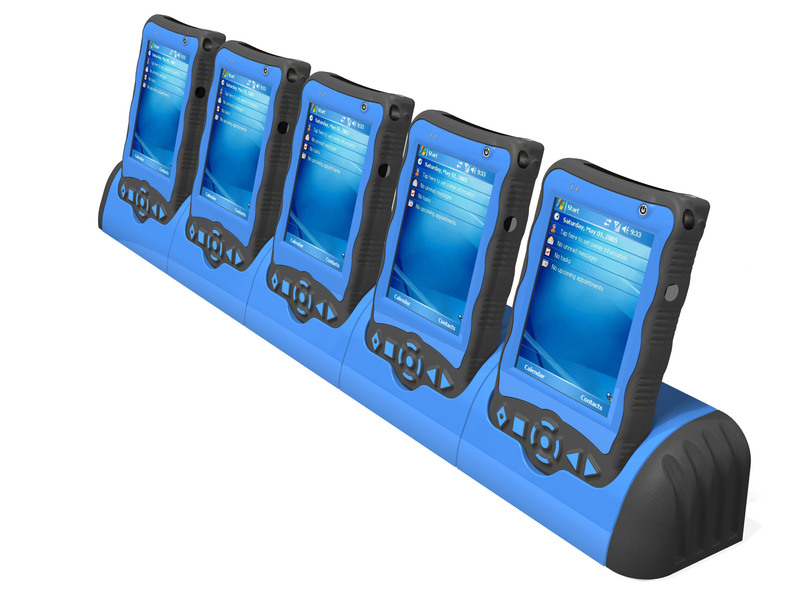 The multi-unit charging dock supports charging up to five (5) Durateq handheld units at one time. The first slot includes a USB interface. The Extended Battery Pack doubles the standard battery capacity from 1440 mAh to 2880 mAh. The extended battery includes a new battery door to house the larger battery. 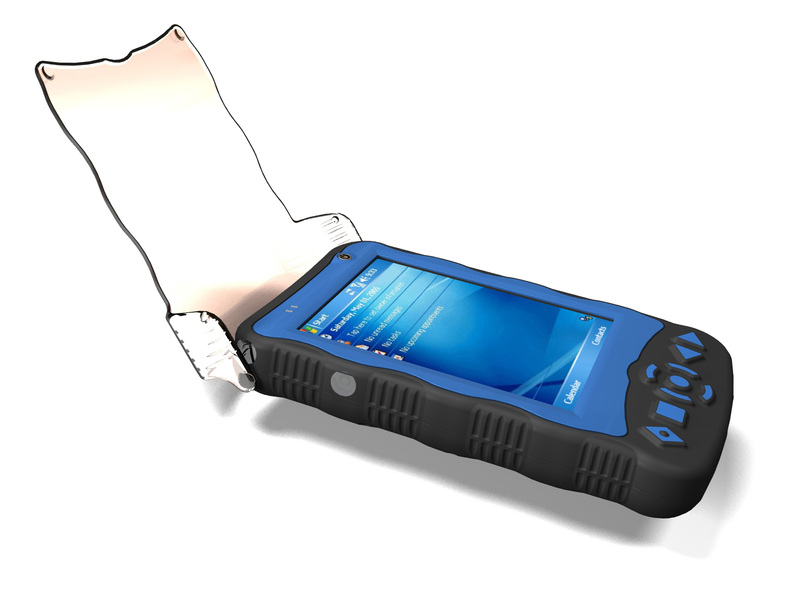 The protective screen flip-cover protects the screen on the device from cracking , breaking or getting any damage to it at all. Available in clear or smoked lenses. 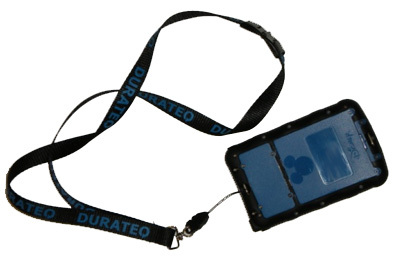 The neck lanyard is strong enough to support the Durateq handheld, while also providing a break-away clasp for safety. The Durateq SPOT Emitter is the standard indoor/outdoor infrared emitter used to provide location awareness to the Durateq ATV handheld to trigger content automatically. The Durateq FLOOD Emitter is the high power infrared emitter used to cover a large area like a theater or large room to provide location awareness in to the Durateq ATV handheld to trigger content automatically. The new Durateq MINI Emitter is the small indoor infrared emitter used to provide location awareness to the Durateq ATV handheld to trigger content automatically. Originally designed for NPS locations, the Durateq TRACK Emitter is an infrared emitter housed in a track light can and used to provide location awareness to the Durateq ATV handheld to trigger content automatically. Several models available. Standard size headset with outside ear phones ideal for assistive listening use. T-coil hearing aid compatible neck loops with 3.5mm audio connector. Assistive Band FM Transmitters (72 to 76 Mhz) are specially configured for assisted listening system and audio description sources for real time synchronized performance. Single ear loop for audio description use, preferred by Blind users due to ambient sound preservation.